flaws from the past to prove my point. you personally and the mission of the situation that needs to be resolved? it, which negatively affected them in the long-run. I may not always be able to completely empathize with where they come from, because we all have different experiences that shape us into our identities, but I can sympathize and respect them. a grudge or a chip and here’s why: Bitterness keeps you from smiling.” I totally agree with him. 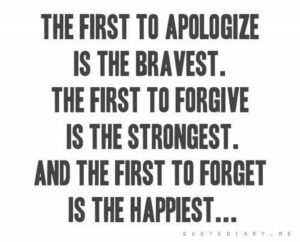 Learn to forgive and forget and you will be amazed how much better you feel about yourself. Meili West currently serves as a Organizational Development Specialist for SOS Leadership. She is a student at St. Edward’s University where she will graduate in December.